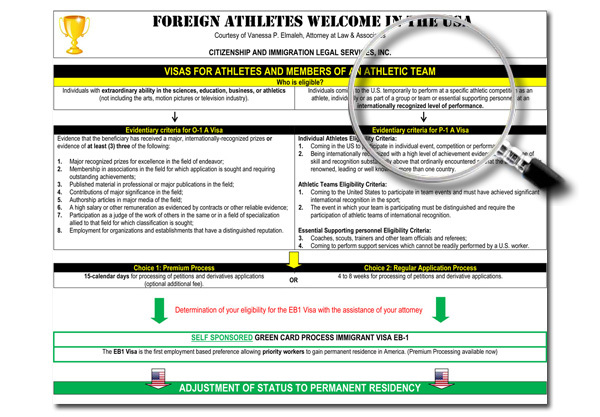 The P-1 visa is granted to an alien who comes to the U.S. to perform as an athlete at a specific athletic competition. The Alien can perform individually or be part of a group or team at an internationally recognized level of performance. It is also granted to an artist or entertainer to enter into the U.S. for a specific event or a performance. A maximum of twenty five thousand (25,000) P visas are granted annually in the U.S.
What requirements are needed to apply for a P-1 visa? - The entertainment group, artist or entertainer shall be recognized for its achievements from organizations, government agencies or critics. They shall perform as a starring or leading entertainment group in production or events which have a distinguished reputation. The P-2 visa is reserved to aliens who come temporarily to the U.S. to perform as artists or entertainers individually or as part of a group in a reciprocal exchange program between a U.S. organization and a foreign organization. 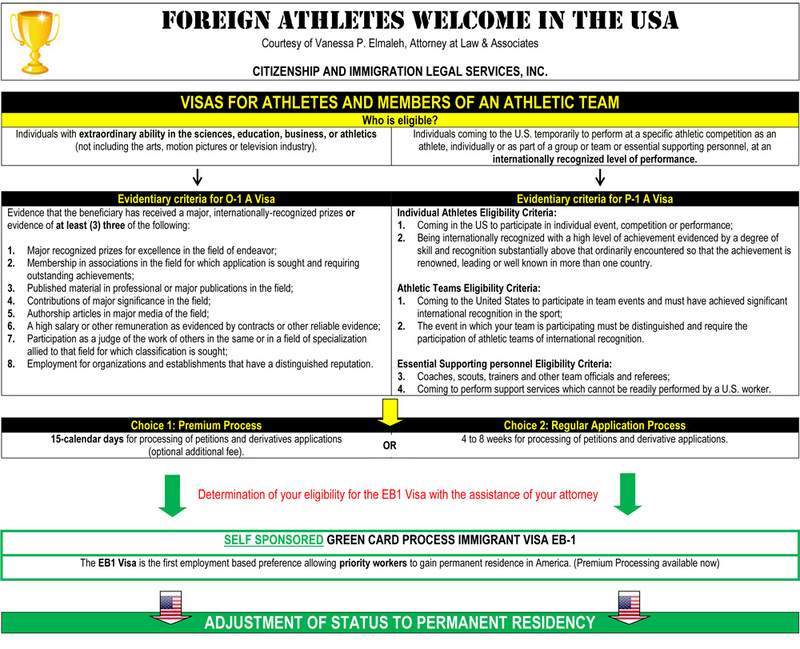 The P-3 visa is reserved to aliens who come temporarily to the U.S. to perform, to teach or to coach as artists or entertainers individually or as part of a group in culturally unique programs. Spouses and children of P visa holders who wish to accompany the principal visa holder are eligible for P-4 dependent visas.